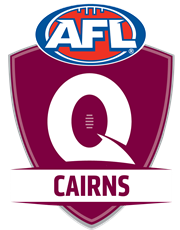 The AFL Cairns competition is played across the same March-October range as played further south. 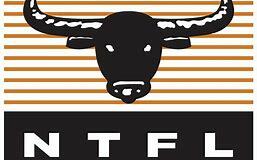 The Darwin Based NTFL remains a summer competition from October to March. This means that Darwin-based footballers often play their home summer NTFL season, but then head south, east or west to continue playing in other states throughout the remainder of the year. The opportunity to join the NTFL gives Cairns-based footballers the chance to be a part of a similar year-long commitment to playing. Already some Cairns clubs sign players from NTFL clubs to play. Last year, Aaron Davey was captain/coach of Cairns City Lions before returning to Darwin to play for his beloved home club, the Palmerston Magpies. Similarly, renowned NTFL coach Mark Motlop spent time coaching the Cairns-based Pyramid Power to their maiden reserve grade premiership. In return, some Cairns players have returned to Darwin to play with NTFL clubs. The likely model will see a representative Cairns team made from players who are signed to the club flying to Darwin and hosting games, presumably at Cazalys Stadium, as part of the 18-round fixture. Over a number of years Cairns has been spoken of as a longer term base for an AFL club. More realistically, they have been seen as a potential home of a team in the NEAFL. With neither having happened to date, and the premiership match being surrendered to their southern rival, Townsville, Cairns footy is in search of a boost. Having a Cairns team playing in the NTFL and likely hosting a number of games against teams like historic powerhouse St Mary’s, the predominantly indigenous Tiwi Bombers, historic Darwin clubs like Waratah, Wanderers and the Darwin Buffaloes, current ladder leaders the Nightcliff Tigers and Southern Districts Crocs and Aaron Davey’s Palmerston Magpies will thrill Cairns crowds. There is much to consider and more negotiations ahead – probably gathering more steam after the NTFL finals in March – but if all parties can agree to how to make it work, the move could occur as early as next the next NTFL 2019/20 season. Certainly, it would be a win-win situation. The NTFL could expand to tap into additional pools of players, sponsors and fans. For Cairns, the chance to find another avenue to promote the game and create a new pathway from grassroots footy to major state competition will be the shot in the arm it needs to move forward. It will be very interesting to see how far and how quickly talks develop from here.